We have just seen a good example of how CID pricing can vary by saleperson (confidential invoice discounting), within a single organisation.This example also demonstrates how difficult it is for clients to keep abreast of the best rates on the market, even if they have a reasonable understanding of the various providers and what has been on offer historically. 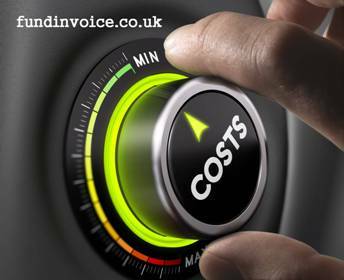 We recently checked some prices for an invoice finance prospect, and this gave rise to a spread of quotes that varied by as much as 86% between the top and bottom of the pricing spectrum, across the range of invoice discounters. One of the independents was in a curious position of leading, at the top of the pricing table, despite having been some way down it previously, in other comparisons. It emerged that our sales contact was able to quote very cheap rates as their pricing policy allowed him to be flexible, due to the income from deals that he had completed historically. It would seem that the approach taken to pricing was that in view of some deals that have been completed at market rates, the discounter could afford to take on a few at a finer, more marginal costing. Hence the very fine rates that were quoted in respect of this particular case. It is also unlikely to be the case that these same rates are going to be available from other sales people within the same organisation, unless they have a similar position, in terms of deals already written. If you had a general working knowledge of the industry you would have expected this provider to have been somewhere near the more expensive end, however in this comparison they topped the table with the cheapest quote, because of this situation. The only way of keeping abreast of these kinds of nuances is to be constantly checking market rates, as brokers tend to do. It occured to me that this is one of the benefits of dealing with a broker that has access across the marketplace, this kind of cost saving would not be routinely identified if a prospect were to randomly select providers based on say an internet search of invoice discounting companies.